Carmen de los Reyes is a qualified Spanish pianist who has taught piano, music theory and music history since 2013. She holds a Bachelor’s Degree in classical piano as well as a Bachelor’s Degree in Music History and Science from the University of Granada. She also studied for a year at the Sibelius Academy under the tutelage of Hamsa Juris. 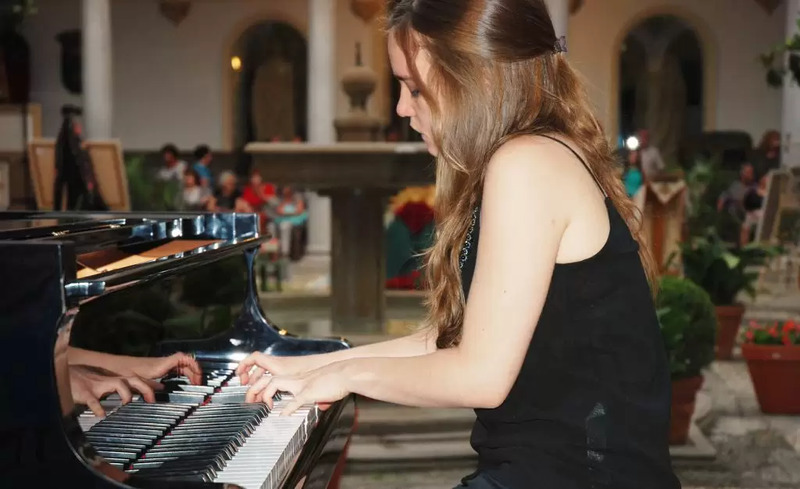 At the beginning of her musical education she won First Place in the scholar category in the National Competition of Young Pianists of SCAEM and in 2012 she was a finalist in the XII Individual Competition of the Professional Music Conservatory “Ángel Barrios” in Granada. Carmen is a student of Javier Herreroshas and attended the master classes of important pianists such as Galina Eguiazarova, Vladimir Ovchinnikov and Eldar Nebolsin. Besides her work as a teacher, Carmen has taken part in the artistic production of festivals and orchestras, including the International Festival of Music and Dance of Granada. Currently she is pursuing a Masters Degree in Secondary Education at the International University of Valencia, with music as her major subject. During her piano lessons, Carmen gives a great attention to the process of singing before playing, which allows the students to express their feelings more effectively and improve their quality of playing.